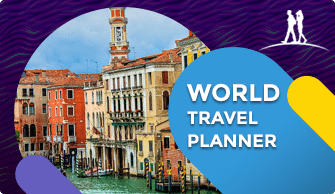 Imagine the world a century ago, when there wasn’t a fast metro connection, nor was convertible an entity yet. An age of black and white photographs, which people still treasure today. We bring you a series of the vintage photos to paint the story of modern travel: from how stewardess became flight attendant and how convertibles came to play. We hope you enjoy this series as much as we did. 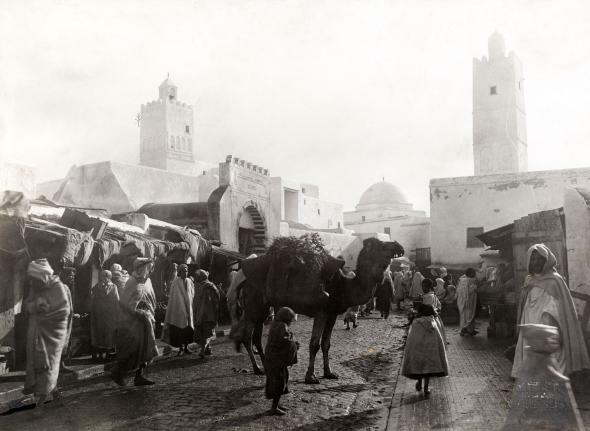 This is how a bustling street in the Cairo Open Market (Egypt) looked like in the year 1911, with the camels gracing the roads along with the crowd. Posing is an art as old as the civilization itself, and this man does it like a pro. 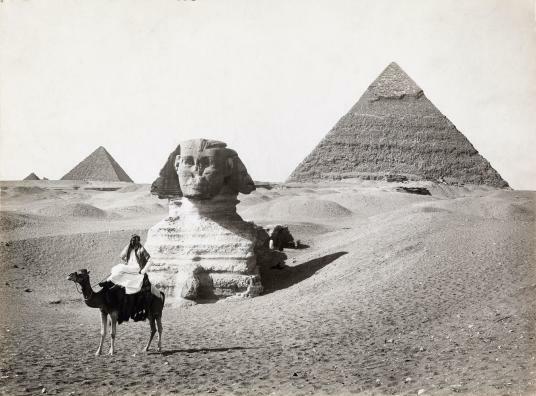 Dressed like an Arab in front of the Great Sphinx back in 1913. 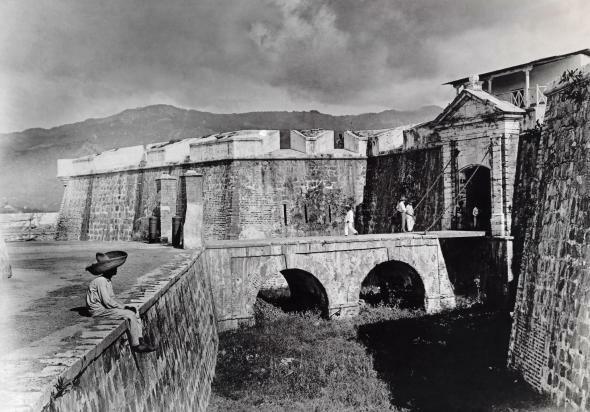 The travelers of the 20th Century admire the fortifications of a building from the 18th century in Acapulco, Mexico in 1916. Two Centuries captured in one vintage photo. 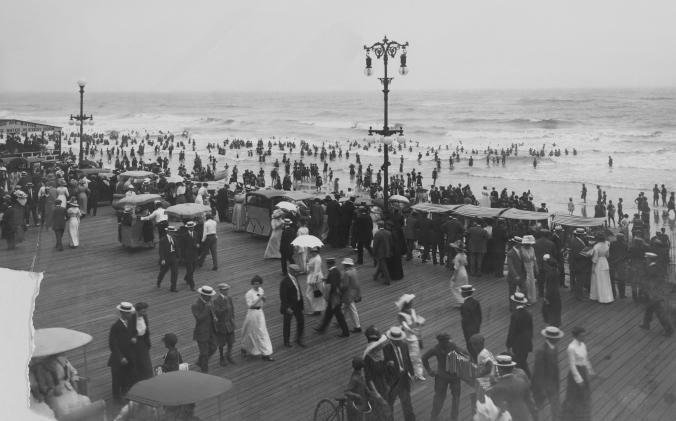 The Atlantic City Boardwalk was a perfect place for an evening stroll, back in the days of 1920. And by the looks of it, we can see it was very popular among the folks. 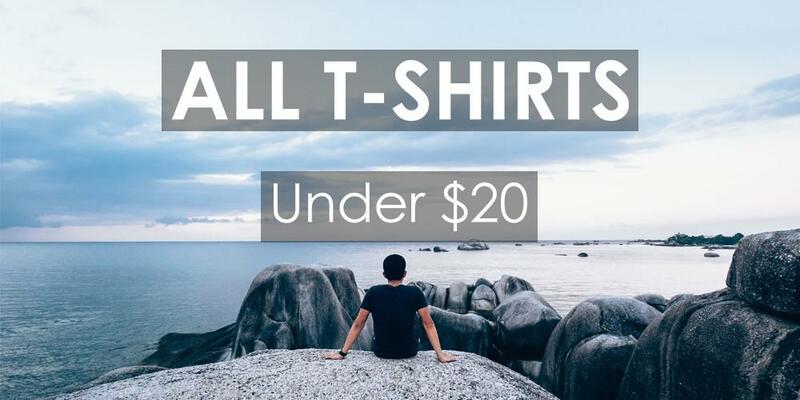 A beautiful sight is hard to look away from. 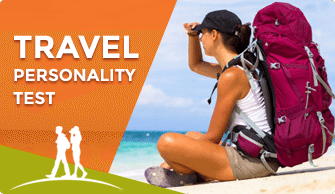 That is what passengers of the Oriental Limited Train are doing. 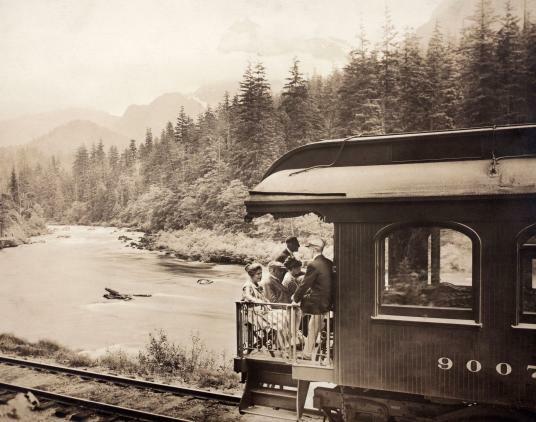 As they go from the Skykomish county, Washington in 1923. The passengers are just peering down to admire the view of the river across them. Our genes are forever the same, throughout the ages. 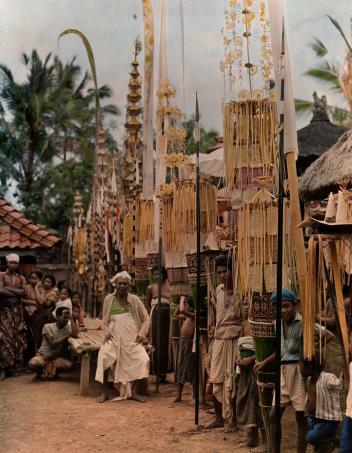 Then how can we ignore the hawker trying to sell souvenirs? 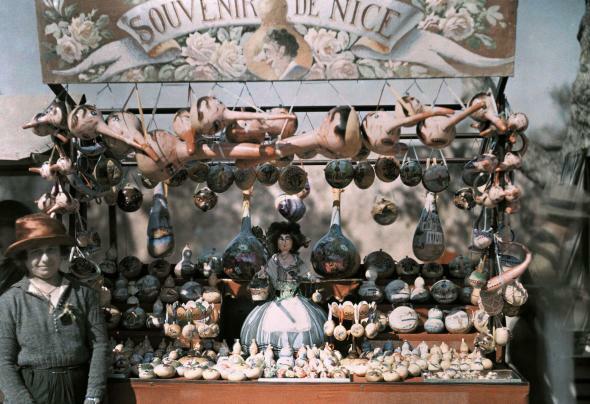 Image of the French Riviera in 1926. 40 long years after its construction the once hideous tower was now the emblem of Paris. 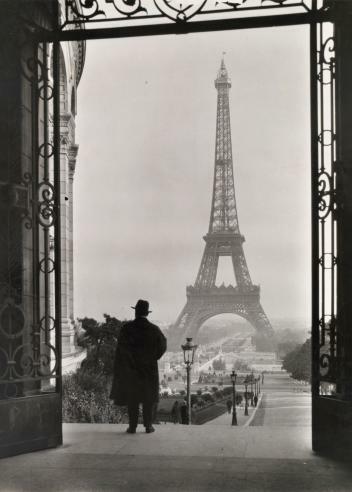 A man soaks up in the majestic view of the Eiffel Tower in 1929. Composing a photograph to bring the iconic half dome of Yosemite National Park, might be hard. But we had talented photographers back in 1933. 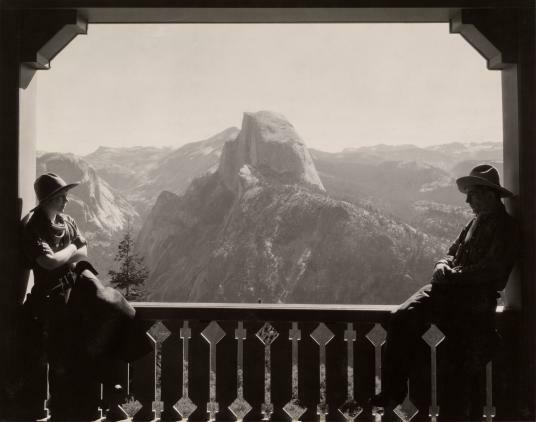 Two visitors pose in the Glacier Point Hotel against the background of half dome of Yosemite National Park, California. 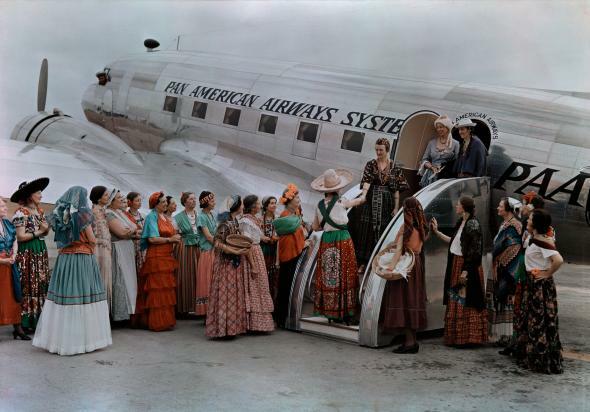 A Pan Am flight landing in Brownsville, Texas in 1938. You can see the flight’s comfort clothes were not hoodie and sneakers but traditional dresses. A Pan Am plane docked at the Manila Bay as curious children look at it in awe in 1940. 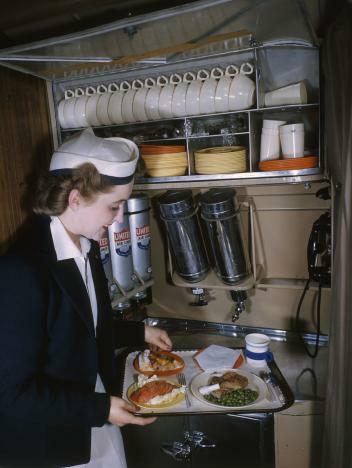 A stewardess putting together the meal for the passengers. Don’t be surprised by ” Stewardess” because 1940 was long before the use of ” flight attendant” which was used after the rise of the third wave of feminism around the 1970s. 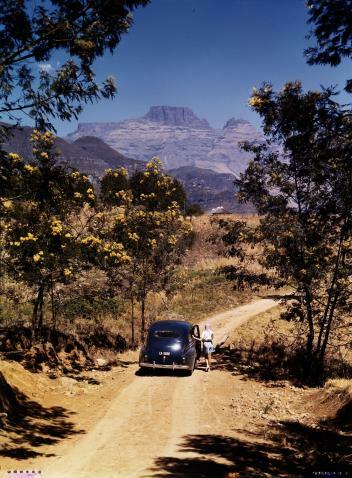 A woman just getting out of her car to admire the gorgeous landscape ahead of her in South Africa, 1941. 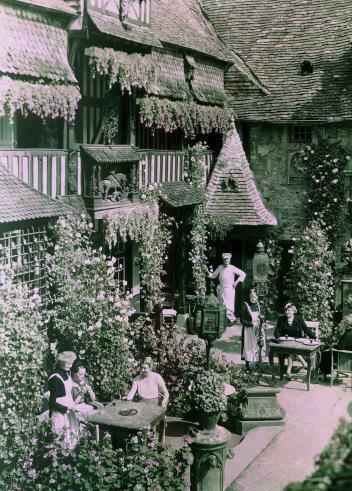 Shreds of evidence in history show us that fine dining came from the French. Guests dining al fresco in Dives-sur-Mer in 1943. 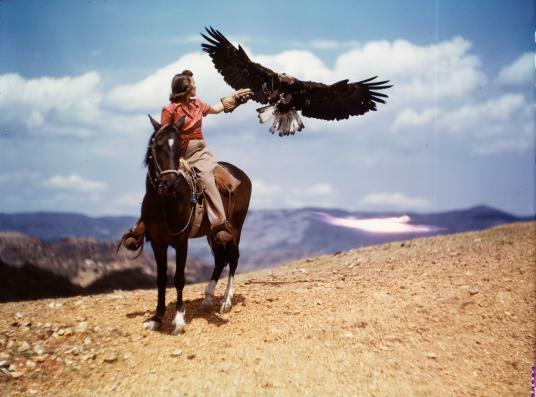 This image calls out epicness on many levels: a woman, on a horseback, calling out to an eagle. Image clicked in 1944. Dark and desolate landscape sometimes makes for an amazing photo. 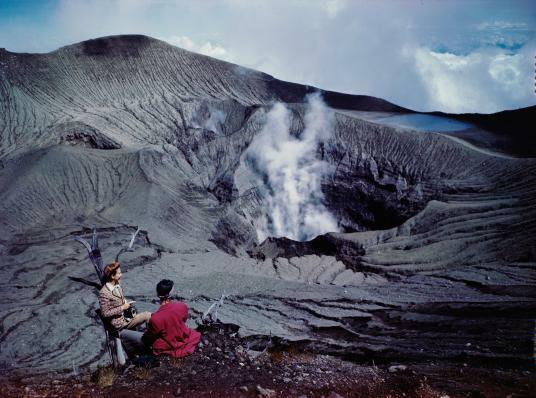 This image captured in 1945 is of the rocky landscape of Costa Rica. It was the year of the independence of India – 1947. 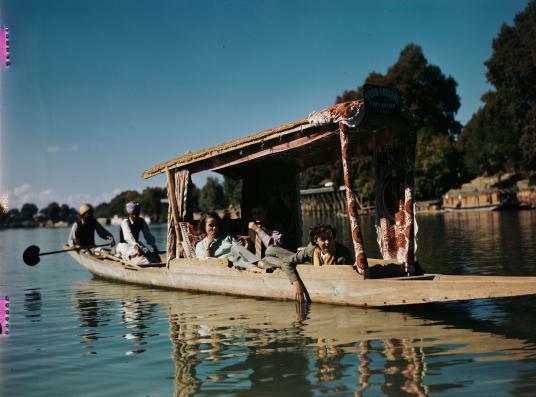 The sightseers revel in the beauty of a wooden float boat ride. 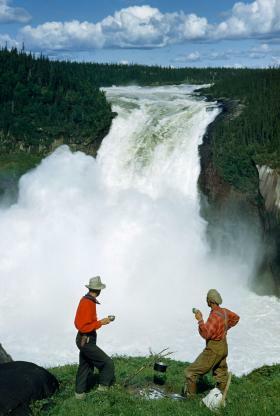 Before hiking became a hype these two men, stop and stare at the Grand Falls, Arizona by leisurely sipping their coffee in 1951. 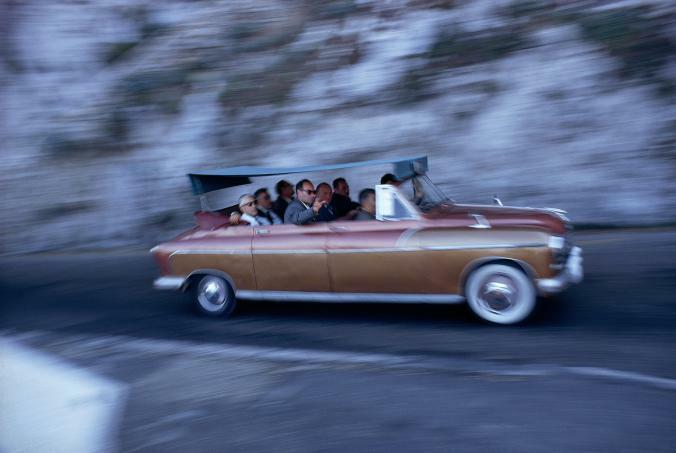 A convertible rides from Anacapri, Italy in 1970. Convertibles were first manufactured in the 1940s and the first ever was Chrysler Thunderbolt. This gorgeous image was taken at the Ionian Islands, Greece, 1973. 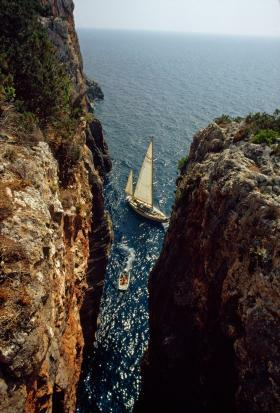 The boats wind through the narrow cliffs of Cephalonia. All Photo Credits go to the National Geographic Photo Archive.